If you didn’t jump on Amazon’s $130 HTC Thunderbolt price, then maybe this new deal will help push you over the edge. 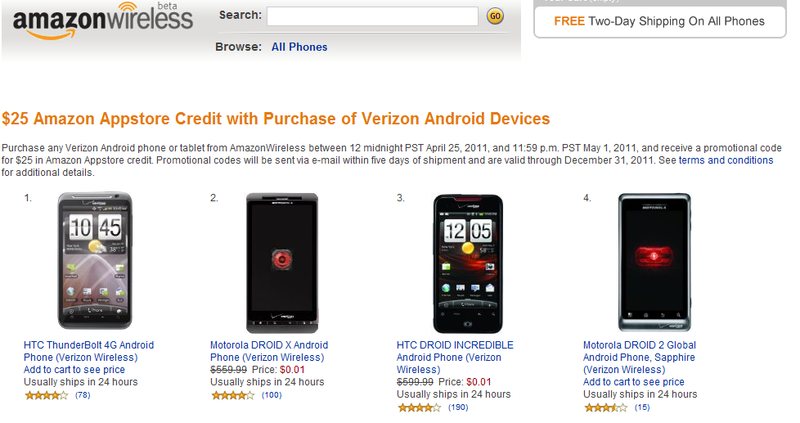 From now until May 1, Amazon is tossing out $25 Appstore credits for those that buy any Verizon Android phone. You could also fork out a penny for the DROIDX or Incredible, but why would you when the new versions of each phone will be here in just a matter of days.